I'll be adding to this page whenever I find useful consumer vehicle maintenance ideas. 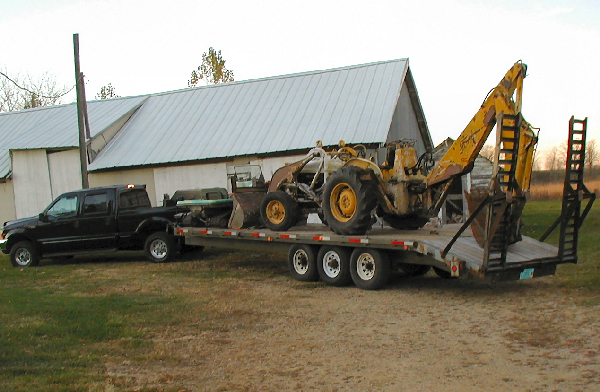 Many of my other pages have maintainence information for other types of machines and equipment, but this area of our website is primarily for wheel-driven machines like cars, pickup trucks and farm tractors. I have over 25 lead acid batteries to maintain and here's how I keep them alive as long as I can. I think (almost) all of us change our automibile's engine oil too often. Here's why I feel that way. Rusted and otherwise stuck fasteners are a fact of life for most of us. This is my tutorial on what to do about it. Here's my solution for changing out the welded-on tailgate hinges. I read a lot and saw a lot of videos about using the "Armature Growler" and still didn't really understand it. Here's my different approach to understanding and using one. This is just an overview of my old tractors, with a bit of maintenance stuff thrown in.